Japanese hostage peace tweet: Kenji Goto's four-year-old tweet has a new poignant meaning after his murder. For many Japanese citizens, Kenji Goto is remembered for his life’s dedication to promote peace and understanding through his documentary work. On Sept. 7, 2010, journalist Kenji Goto tweeted a saintly message of patience, tolerance, and peace, saying he learned such virtues from his “Arab brothers.” Three days after ISIS released footage of his murder, that tweet has taken on new resonance in Japan and, as of Tuesday afternoon, has been retweeted more than 34,000 times. “Close your eyes and remain patient. It’s over once you get angry or yell. It is almost like praying. Hating is not the role of humans; judgement is God’s domain,” Goto’s four-year-old tweet read. “It was my Arab brothers who taught me this,” he tweeted in Japanese on September 7, 2010. 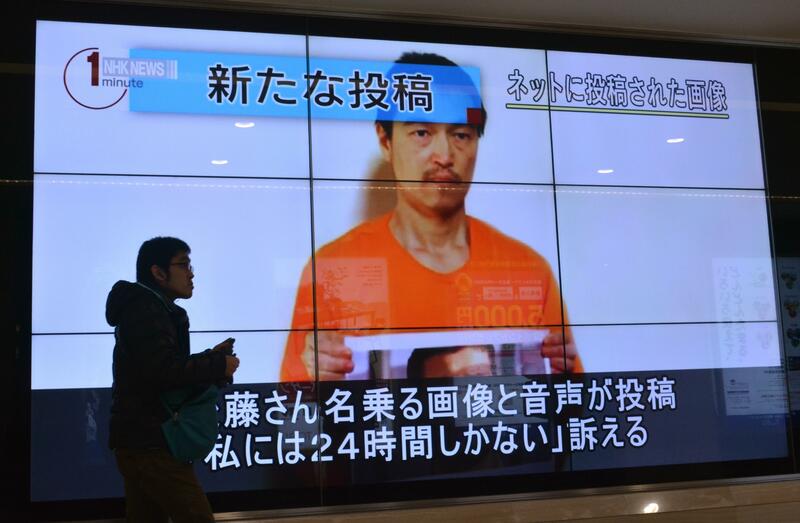 Goto, a 47-year-old freelancer whose work focused on the victims of conflicts across the world, especially children, is thought to have been captured when he traveled to Syria in October 2014 to try to help arrange for the release of Haruna Yukawa. Yukawa, who was something of a wandering soldier of fortune, was also killed by ISIS.